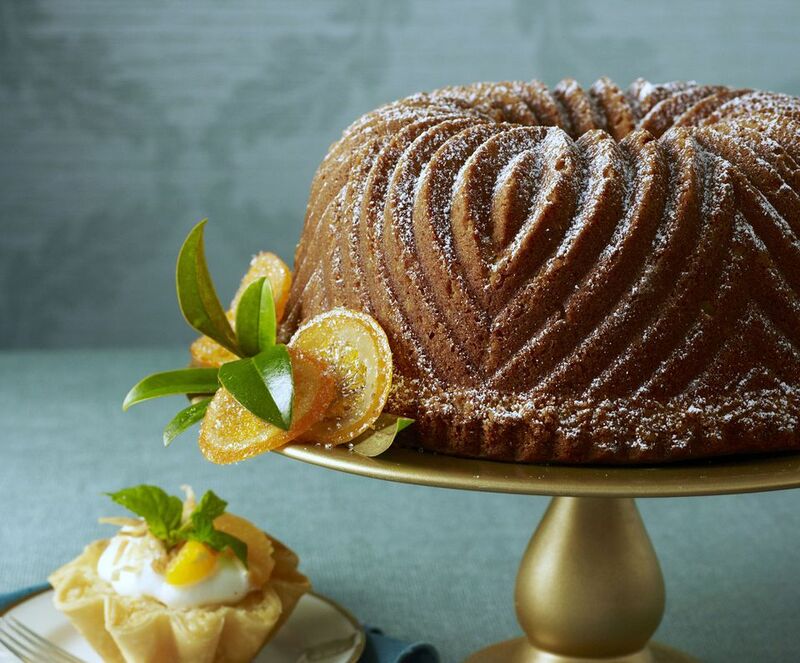 I adapted this easy mandarin orange Bundt cake recipe from one by Dole. This is another example of hiding food inside other foods -- a trick Eastern Europeans adore. What makes this recipe so easy is the fact that a two-layer yellow cake mix is used. Now, how's that for speedy? The original recipe calls for a confectioner's sugar orange juice glaze, but I like to give it a dusting of confectioner's sugar instead. It looks so festive. Garnish plates of cake with well-drained mandarin oranges, a sprig of mint and a dollop of whipped cream, if desired. Add some cinnamon candies next to the mint and it will look like a sprig of holly! Heat oven to 350 degrees. Coat 10-cup Bundt pan with cooking spray and set aside. Drain the mandarin oranges, reserving juice. In a large bowl, combine cake mix, reserved juice from can of mandarin oranges, eggs, oil and grated orange zest. Beat for 2 minutes. Pour 1/3 of batter in prepared pan, and layer half of the drained mandarin oranges on top. Pour another 1/3 of the cake batter into the pan and layer with remaining mandarin oranges. Pour last third of cake batter into the pan. Bake 40 to 45 minutes or until toothpick inserted in center comes out clean. Cool in the pan for 20 minutes. Remove from pan onto wire rack and cool completely. When completely cool, dust with confectioners' sugar or brush on the glaze. To make the glaze, combine reserved juice from the orange and confectioner's sugar in a small bowl until well blended. Gently brush glaze all over cake with a pastry brush.